Holidays in Deia allow you to explore stunning natural landscapes, and a town which is often said to be Majorca’s most beautiful. Located on the north west coast of the island, spend your days walking in the footsteps of artists, writers, and musicians, through orange orchards and olive groves as you take in views of the sparkling Mediterranean and emerald mountains. With Palma de Mallorca and the pretty beach of Cala Deia within easy reach, visitors can enjoy the best of both worlds. Cala Deia has golden sands and a secluded atmosphere, while lively and sophisticated Palma has a thriving harbour fringed with cafés, bars, and restaurants. Holidays in Deia are all about immersing yourself in the tranquil natural surroundings, taking in the golden buildings and subtropical plants. Full of 5-star hotels, the town isn’t just for tourists seeking the most luxurious destination in Majorca. You’ll find a bustling village life just waiting to be explored, along with an excellent selection of small local restaurants and bars. This is the perfect place for couples who want to enjoy everything rural Majorca has to offer. 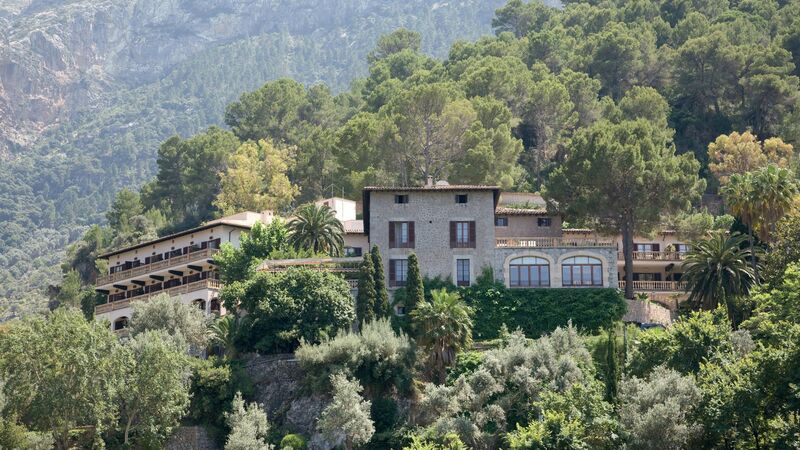 The likes of Mick Jagger and Richard Branson have both bought properties here, earning Deia its superstar reputation. Luxury holidays in Deia can be spent exploring its beautiful surroundings on-foot or by bike, or making the most of the excellent amenities in your 5-star hotel. You’ll find a gourmet range of bars and restaurants in the pretty, green streets of the town, as well as some of the island’s very best hotels. For some retail therapy, Palma is just a 45-minute drive away and offers designer boutiques and well known brands. Book your luxury holidays to Deia with Sovereign and we’ll help you find the ideal hotel for your trip. 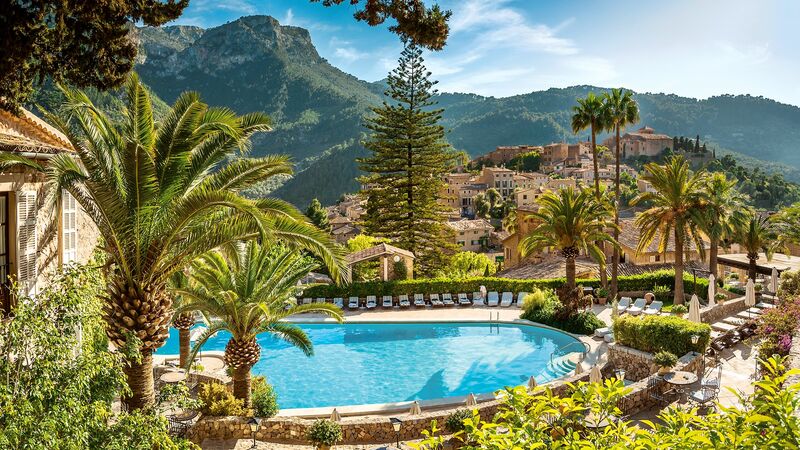 Belmond La Residencia boasts views you won’t be able to look away from, beautiful traditional Spanish architecture and luscious gardens full of flowers and palm trees. The rooms are elegant and there are two swimming pools to choose from. For a quiet hotel with an excellent selection of bars and restaurants, as well as a spa and selection of activities choose to stay at the Hotel Es Moli. Transfer time from Palma airport to Deia is approximately 45 minutes.